Payment plans for Fall 2018 term will begin in September, Winter 2019 term plans will begin in December and Spring 2019 term plans will begin March. If interested in the payment plan for the 2018-19 academic year please signup prior to September 1st to take full advantage of the plan. Returning students need to complete the enrollment process for the payment plan each academic year. Please Note: The student's network User ID and Password is required to submit the application. Billing Statements can be found online! Credit balances on student accounts will be refunded first week of the term. Refunds for Federal Direct PLUS loans will be mailed out the end of second week. (These funds may be needed for a future term, Please Budget Accordingly.) 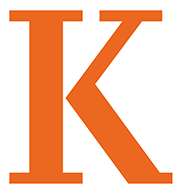 Kalamazoo College does not use a third-party servicer to process Title IV refunds, nor does it have a banking relationship that qualifies as a “Tier Two” arrangement for processing Title IV refunds.